If you’re in the market for an inexpensive wood lathe we’re taking a look at the best lathes at different price points. Risky territory here. If you have less than 100$ to spend but you need to do some woodturning there’s not a lot of great options. Still if you have a drill press or even a hand power drill there’s a few things to look at. This kit from Shop Fox will let you adapt your drill press into a vertical wood lathe. It comes with a 12″ toolrest and required centers. How much you can get out of this set depends on what kind of drill press you have. 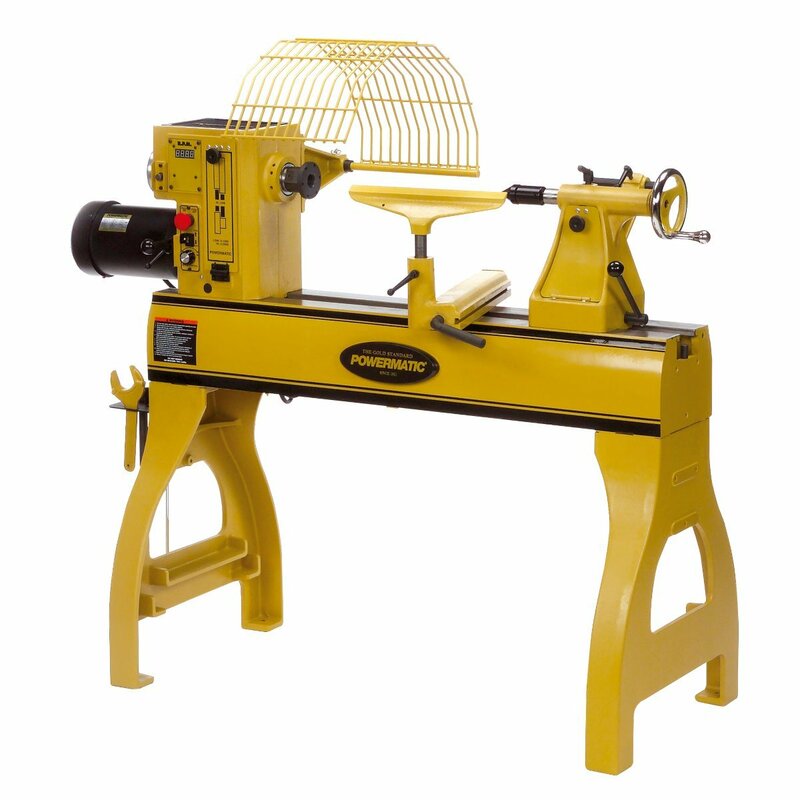 This is a decent option if you have a pressing need to do some woodturning, but don’t want to invest much money, but for anything else I would suggest stepping up to a benchtop lathe. Can be had for less than 50 bucks on amazon. What’s the best full size wood lathe? If you’re in the market for a large wood lathe we’re going to compare several different popular models from top manufacturers and provide an in depth look at the feature sets and specs of each one. We’ll be looking at lathes that have swings of at least 16″ and more than 32″ center to center. Tools of this size tend to include motors at least 1.5 HP and in most cases there are extensions available if you need something with a bit more length. If you’re looking for something smaller you might be interested in this summary of mini wood lathes. The TCL10VS commander from PSI woodworking is a very nice little lathe. It has a great feature set for the money and solid construction. While PSI might not have the brand reputation of some of the other major players they do offer a lot of value, and the reviews on this particular lathe have been quite positive. What’s the best mini wood lathe? Are you looking for a small wood lathe? We’ll look at four lathes from different manufacturers and compare them in terms of size and weight, motor, features and price. First off what is a mini lathe? Different people will tell you different things, but for our purposes we’re going to stick with lathes that have less than 12″ of clearance over the bed, less than 18″ center to center and motors smaller than 1 HP. Anything bigger than that we’ll call a midi lathe instead.